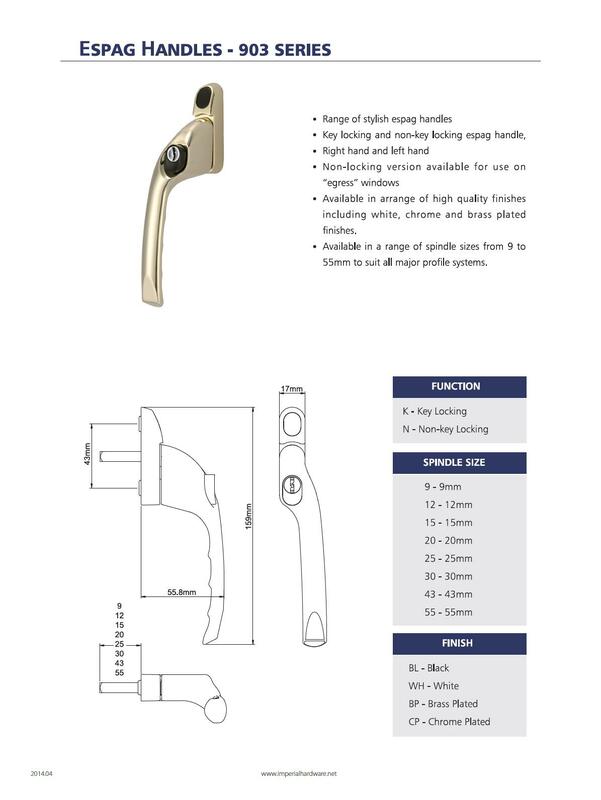 Range of stylish espag handle. 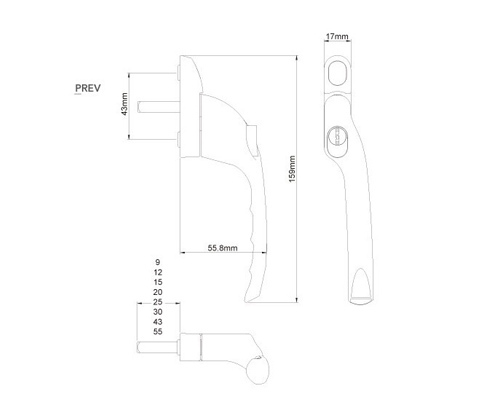 Non-locking version available for use on "egress" windows. Available in arrange of high quality finishes. 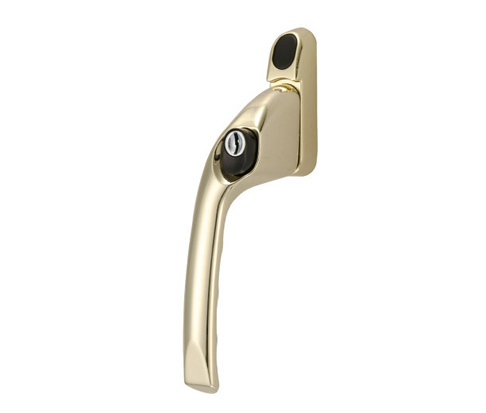 Including white, chrome, and brass plated finishes. Available in a range of spindle sizes from 9 to 55mm to suit all major profile systems.